DATA lost is commonly associated with natural damage, human error and environmental disaster to a disk or other storage media. 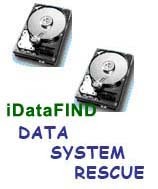 ITPro iDataFIND can offer a one stop solution to many common and extraordinary data loss situations. Our extensive services cover hard drive and server rescue recovery; tape recovery and any storage media from MP3, a single hard drive and notebook PC storage to RAID array multi-drives server system. In general, disposal of data is critical for everyone when recycling your used computer equipment. ITPro iDataFIND can totally wipe the data off of your storage media, verify that it is not recoverable compliance to international standards. At ITPro iDataFIND we understand how care you need to recover the lost data, particularly corporate data of importance and business criticality. Our professional approaches enable us to deliver prompt, efficient services for any of rescue cases. Our codes of conduct is being acted as high as professional sectors throughout the whole business stream. We treat all clients' data and information as strictly confidential throughout the whole processes, from receiving storage media, release the recovered data to closing job files. We always assure clients' top confidentiality. Customer satisfaction and deserve is always led to our motivation and success. It's all part of our professional commitment to you.